Turkey is set to become the approval center for the world halal market, as paths of all institutions issuing halal certificates will meet in the newly established the Halal Accreditation Authority (HAK). The visa of the halal market, which exceeds $3 trillion in size worldwide and grows at an average of 10 percent per year, will be issued in Turkey. 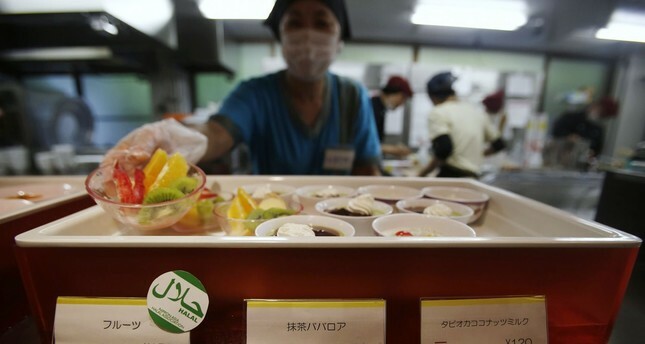 The HAK will approve halal documents that are issued by more than 1,000 institutions in over 100 countries but leads to controversy due to the lack of common criteria. HAK, which was established last month and put into practice after being published in the Official Gazette on Saturday, will be launched at the Organization of Islamic Cooperation (OIC) Halal Expo and World Halal Summit at the Istanbul Lütfi K?rdar International Convention and Exhibition Center on Nov. 23-25. At the summit, organized by the Standards and Metrology Institute for the Islamic Countries (SMIIC) and the Islamic Center for Development of Trade (ICDT) in cooperation with Discover Events, ministries and senior level representatives will attend from 57 OIC member states. Discover Events Chairman Yunus Ete said with this institution, Turkey would become the center of the world halal market, recalling that halal standards were determined by the SMIIC, which includes 57 OIC member states. Ete noted that the institution would open branches abroad and increase the number of member countries, as well. Ete said a vast majority of producers in Turkey have the potential to receive a halal certificate, adding that this understanding has yet to fully emerge in the country. “Non-Muslim countries are aware of the size of the halal market and are investing heavily here,” Ete said, stressing that the UK holds the biggest share of Islamic finance, while Spain is increasing its investments in Islamic tourism and countries such as Russia, Australia and Brazil are making investments in food and Austria is investing in medicine. In Turkey, on the other hand, some circles are giving this issue a political aspect with shallow discussions, Ete added. Turkey’s Halal Accreditation Authority (HAK) has the potential to strengthen Turkey’s central position in halal product certification and accreditation, making the country a rule-making authority in the scope of halal accreditation. Previously speaking about the increasing importance of standards, auditing and quality in terms of the international trade of halal products, Economy Minister Nihat Zeybekci said that halal certification of products demanded by the world’s 1.8 billion Muslims has yet to be completed on a global scale. He also pointed out that no consensus has been reached in the Islamic world regarding the documentation of certified halal products, adding that the various practices and requirements in Islamic countries that differ on the matter have prevented the development of trade for halal products. Recalling that in 2010 Turkey took important steps within the framework of the Organization of Islamic Cooperation (OIC) regarding halal certification, Minister Zeybekci said that regulations including the Halal Food Standard and the Halal Accreditation Standard were approved by the OIC, leading to the establishment of the Standards and Metrology Institute for Islamic Countries (SMIIC) headquartered in Turkey.